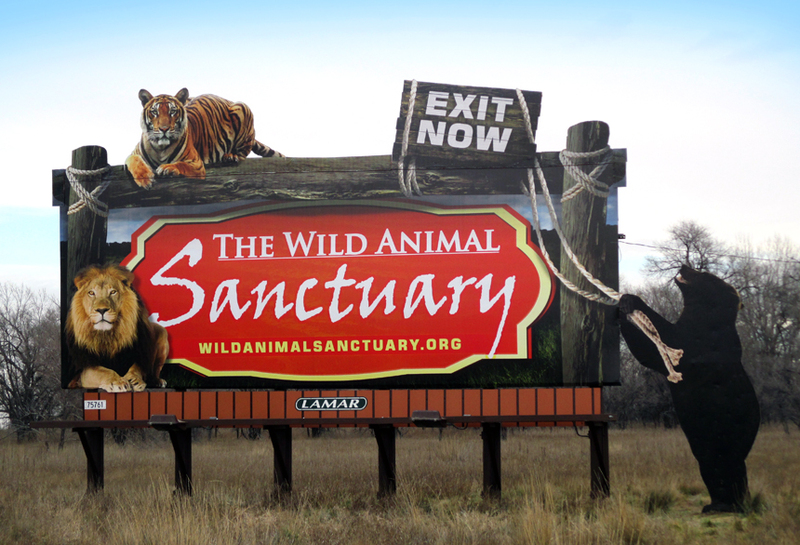 The Wild Animal Sanctuary used Lamar poster billboards to run a series of advertisements in Keensburg, CO. These posters included 2D extensions to create the look of animals pawing at the creative. The use of 2D animals made the poster unique and interesting, encouraging individuals to exit and see the sanctuary for themselves.